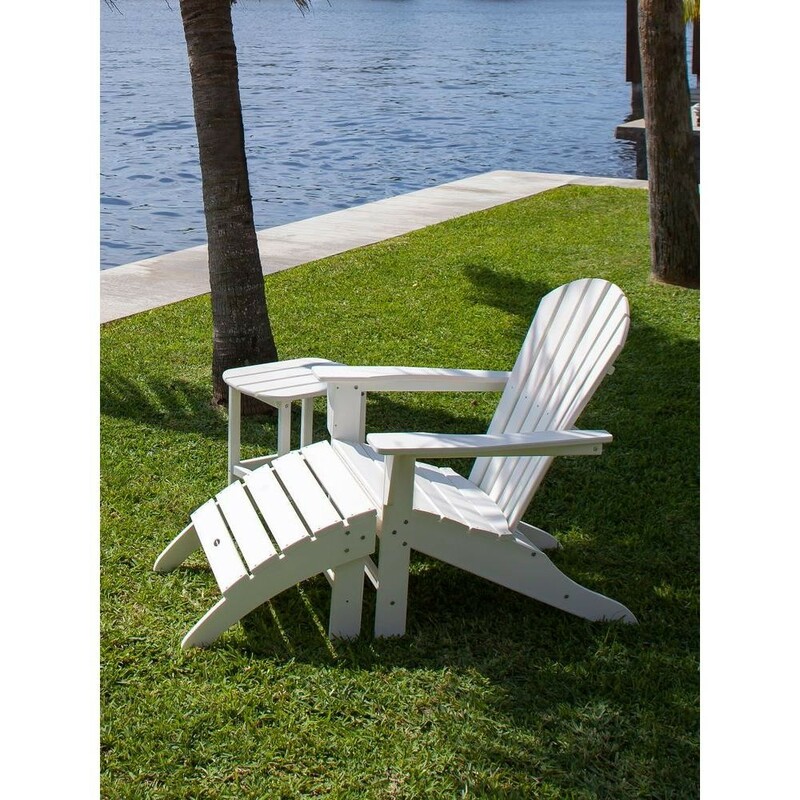 3-piece Adirondack chair set with chair, ottoman, and side table. 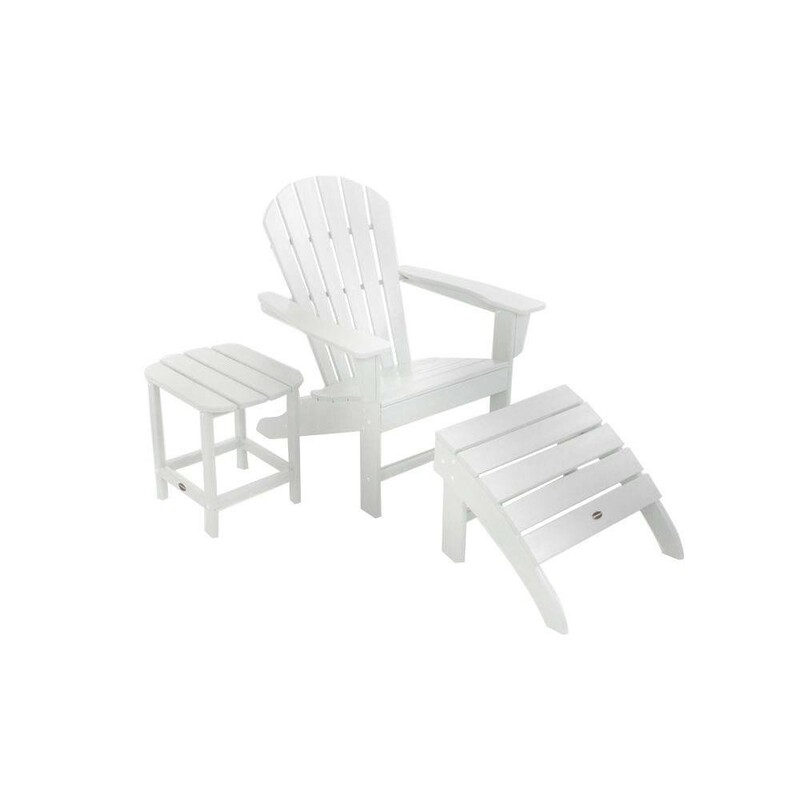 Settle in for a back yard nap with the help of this POLYWOOD South Beach 3 Piece Adirondack Set. 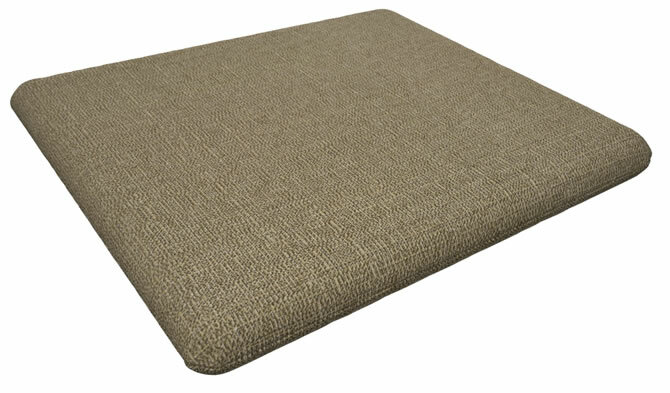 The set includes a South Beach Adirondack chair that's contoured and relaxed for extra comfort, a matching ottoman, and a matching side table. The entire set will look great on your back yard, porch, or outdoor room. It's all made out of POLYWOOD recycled HDPE plastic synthetic lumber, which means this is a virtually maintenance-free chair. Though it all looks like painted wood it doesn't come with any of wood's headaches. You won't have to break out so much as a bottle of touch up paint when you trust this fine, eco-friendly set. After all, the goal is to help you relax more, not to give you more work! It even resists wine stains. This set will look great twenty years from now, even if you live in harsh weather conditions. The chair is easy to assemble with the included 18-8 commercial grade stainless steel hardware which is also designed to resist corrosion and environmental hazards of every kind. So go on. Kick back, relax, and grab yourself a cold drink. Order your 3 Piece South Beach Adirondack chair set today.